Immuno-suppressed patient suffers sepsis, hearing loss, PTSD and scarring after septoplasty surgery. Our client, Mrs C suffered sepsis, hearing loss, PTSD and scarring after undergoing septoplasty surgery. The hospital had failed to take account of the fact that she was at a high risk of infection due to her immunosuppressant treatment for her pre-existing multiple sclerosis. Mrs C was diagnosed with multiple sclerosis (MS) at age 43. As part of her treatment, she underwent Tysabri infusions every 4-6 weeks at Kings College Hospital. One of the side effects of the treatment was that it caused her to be immunosuppressed (suppressed immune system). In August 2014 she was seen in the Ear Nose and Throat (ENT) clinic at Tunbridge Wells Hospital, due to having trouble breathing through her left nostril. She was advised that she could undergo septoplasty surgery. The general risks of a septoplasty were discussed but not Mrs C’s increased risks of undergoing the procedure whilst also receiving Tysabri infusions. In October 2014, she was seen in clinic by the ENT surgeon. He noted that she was still receiving Tysabri infusion every four weeks. Nevertheless, Mrs C was listed for a septoplasty. No steps were taken to contact the neurology team at King’s College in order to ascertain whether it was appropriate to proceed with surgery, nor was Mrs C advised of any increased risks associated with the procedure. On 12 November 2014, Mrs C underwent a Tysabri infusion at King’s College Hospital. On 13 November 2014, Mrs C underwent septoplasty surgery at Tunbridge Wells Hospital. Post-operatively it was noted that Mrs C had a small ooze on the bolster and that she was feeling hot with a temperature of 36.6°. Nevertheless she was discharged home. Overnight Mrs C deteriorated. She vomited blood and her face began to swell. She lived alone and so it was not until her daughter visited her in the morning that an ambulance was called. She was admitted to Tunbridge Wells Hospital and due to the severity of her facial swelling, a peri-arrest call was put out. She was admitted to ITU where a diagnosis of sepsis was made, with the sinus being the likely source. She was commenced on IV antibiotics. She underwent examination of the nose under anaesthetic with right sinus washout. The presence of Group A haemolytic streptococcus infection was confirmed. She deteriorated initially and required tracheostomy as her oxygen intake reduced 93%. She remained in ITU until 3 December 2014. It was alleged that the trust failed to take into account Mrs C’s Tysabri treatment when considering whether she was suitable for a septoplasty surgery. As a result of the treatment she was immuno-suppressed and therefore she would have been at increased risk of infection. As the septoplasty was an elective procedure, Mrs C should have been warned of the risk, and advised to undergo the procedure another time, during a break from her Tysabri infusion. Had she done so, on the balance of probabilities, the sepsis would have been avoided. Liability was admitted and NHS Resolution accepted that had the Tysabri treatment been considered, she would have avoided her ITU admission. Expert evidence was obtained from a psychiatrist who diagnosed mild Post Traumatic Stress Disorder (PTSD) due to the trauma and recommended Mrs C undergo treatment for the same. Evidence from a maxillo-facial surgeon was also sought in relation to the tracheostomy scar and numbness of lower lip and tongue was noted to be permanent. Mrs C advised that she had experienced hearing loss since the incident. She had pre-existing problems in the right ear but now required a hearing aid and also had decreased hearing in the left ear. ENT evidence stated that she would also require a hearing aid in the left ear and that Mrs C’s hearing loss had been caused by the sepsis and admission to ITU. The defendant disputed that Mrs C’s hearing loss had been caused by the negligence. Jenny Waight, specialist clinical negligence lawyer, acting for Mrs C, successfully obtained a settlement of £90,000. This included the cost of purchasing hearing aids in the future, as well as psychiatric treatment. 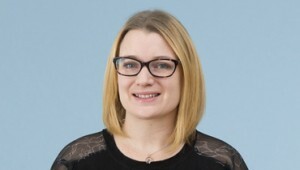 Jenny Waight specialises in clinical negligence cases involving surgery, consent and sepsis. If you would like to ask Jenny Waight a question about a potential case, or if you have a general query about clinical negligence, contact Jenny Waight at Thomson Snell & Passmore solicitors on 01892 701374 in confidence. We have one of the most well-established and experienced clinical negligence teams in the country. Our clinical negligence lawyers have a reputation for winning complex medical negligence cases and we have helped thousands of people claim compensation. If you’ve been injured during cosmetic surgery as a result of medical negligence you may be able to claim compensation. We have the expertise and experience to help you recover compensation. Contact one of our specialist lawyers for a free initial consultation to find out if we can investigate your case with the financial security of a no win no fee agreement. If you have suffered as a result of negligence during surgery, you may be entitled to make a compensation claim. We have a long history of success in claiming compensation for claims involving surgical errors. Contact one of our specialist lawyers for a free initial consultation to find out if we can investigate your case with the financial security of a no win no fee agreement. Clinical negligence claims are often highly complex. If you have suffered as a result of negligence at a hospital or GP surgery, our specialist clinical negligence solicitors will investigate your medical negligence claim thoroughly and independently. Contact one of our specialist lawyers for a free initial consultation to find out if we can investigate your case with the financial security of a no win no fee agreement.